I recently came across the results from an interesting volunteer program called the Lake Partners Program, sponsored by the Ministry of the Environment for Ontario. This program engages volunteers to measure Secchi Depth (water transparency) and total phosphorus (TP) in lakes and rivers across the province. The results are tabulated and presented via a mapping interface that allow researchers to monitor changes in water-bodies over time. What is also great is that these two pieces of information can be useful to anglers as well. Secchi Depth is a measure of water transparency – translation: how deep can one see into the water / how well can fish see. This is an important factor that can, in particular, affect the ability of site feeders to see your bait (good) or you and your boat (not so good). It may also affect the depth that certain species may be found. For example, walleye may seek deeper water during the day in clearer bodies than in stained or turbid waters. 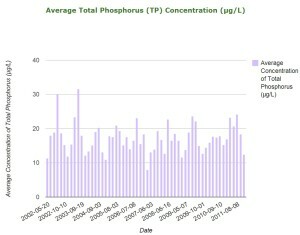 Total phosphorus (TP) concentration can give a good indication of the trophic state of a lake. Lakes with a TP of less than 10 μg/L are considered oligotrophic. Lakes with TP between 10 and 20 μg/L are mesotrophic, and lakes over 20 μg/L are classed as eutrophic. These values can be useful when researching unknown water-bodies. Comparison of these numbers with numbers from water-bodies you are familiar with can help give you an idea as to what to expect when you arrive. Monitoring these numbers can also help explain fishing pattern changes on water-bodies you frequent. A prime example of how water transparency can change dramatically over time is with an infestation by zebra mussels (e.g. The Great Lakes). An interesting note from this site is the case of tea stained lakes. These lakes are a special case with high dissolved organic carbon content (DOC) and complex lake chemistry. 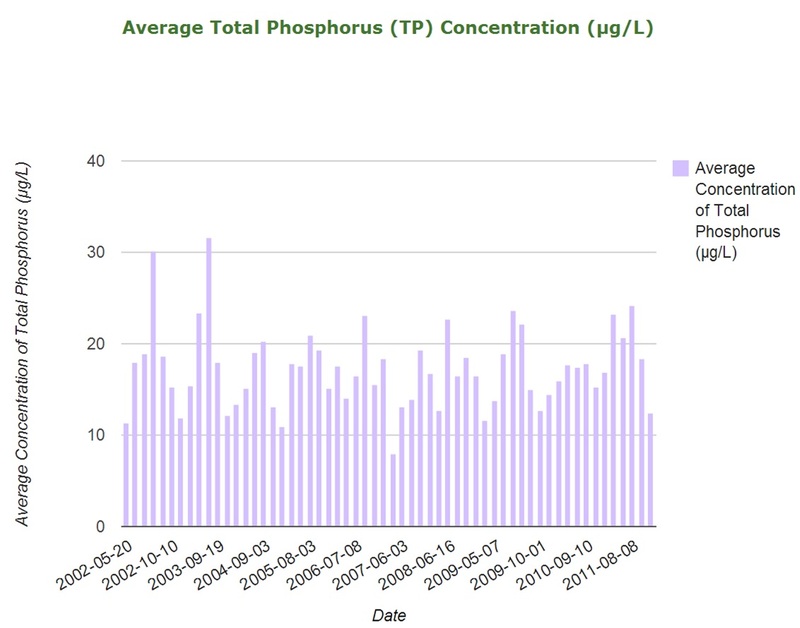 There can be generally more total phosphorus in these lakes without the occurrence of algal blooms. Lakes such as these are called dystrophic lakes. Lake Science, Secchi Depth, Total Phosphorus.